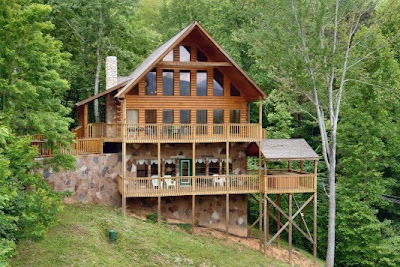 Luxury lodges, log cabins, chalets, and condominiums are located throughout the valleys and mountains of Gatlinburg/Pigeon Forge/Sevierville, provide accommodations ranging from rustic to lavishly elegant. The Smokies supply an endless array of recreational activities. Visitors come to hike through the vast forests, fish in the beautiful creeks, whitewater raft, camp in the backcountry, horseback ride, and photograph the beautiful, scenic views. Just outside the Park are the towns of Gatlinburg, Pigeon Forge and Sevierville featuring an unlimited supply of incredible shopping, dining, amusements, events and entertainment. Visit the largest collection of Titanic memorabilia in the World, take an aerial tram to the top of the mountain, learn to horseback ride & zipline, shop for handmade mountain crafts or take the family to the Minor League Baseball ballpark. 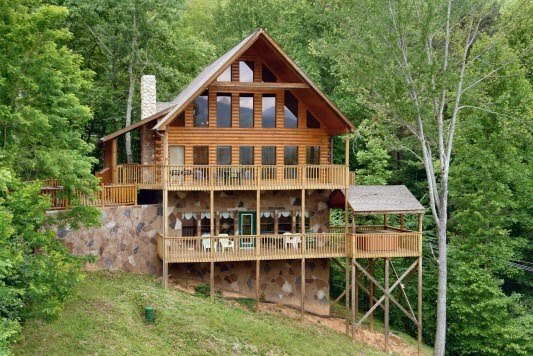 Everything your imagination can think to do is located in the valleys of the Smoky Mountains. Trolleys operate throughout Sevierville, Pigeon Forge, and Gatlinburg offering affordable, air-conditioned transportation to hundreds of locations. They run throughout Gatlinburg & Pigeon Forge. You can park & ride, so don’t worry about parking or walking to each place. Come to the Smoky Mountains on vacation! Your family will have more than enough to do for fun and entertainment. The Smokies will provide you with endless memories!